Rock University High School students invite families to bring their children to see Father Christmas, while hearing beautiful carols by the Craig High School A Cappella Choir! 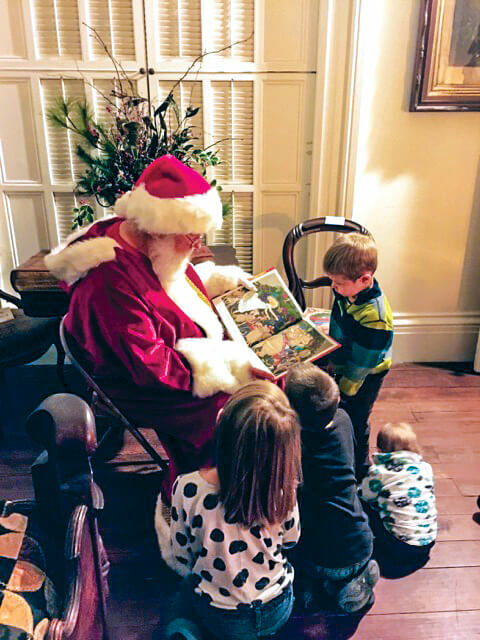 Kids will enjoy stories read by Father Christmas. It’s an ideal photo opportunity, too. Refreshments of cookies, hot chocolate, and cider will be served. When: Saturday, Dec. 15 from 10 a.m. – 1 p.m.
Times: 10 a.m.; 10:45 a.m.; 11:30 a.m.; 12:15 p.m.
Each 45-minute time slot is limited to 30 guests. See below to RSVP. Parking available in the lower level Mercy Hospital parking lot, across the street from the RCHS Carriage House. Note: You will be notified via email if the event is cancelled due to inclement weather.